It is with great sadness that I share with you the passing on Friday, March 16, 2018, of my mother, Norma Florence (nee Ford) Boling at her home of nearly 60 years in Forestville, MD. She was 90 years, 6 months, and 3 weeks old and courageously fought a long battle with Alzheimer’s and heart-disease-related conditions. The following poem just seemed right for sharing once again on my blog. It’s been a long time since a limb has fallen from my immediate family tree and we have only God to thank for this. We are standing firm and strong as we experience the loss of our beloved. “A limb has fallen from our family tree. Norma Florence (nee Ford) Boling, age 90, of District Heights-Forestville, MD, passed away peacefully in her sleep on Friday, March 16, 2018. Norma was preceded in death by her parents Robert (Roy) Gideon Ford and Loretta Alice (nee Lathrop) of Prince George’s County; and her brother, John Austin Ford also of Prince George’s. Norma is survived by her life-long best friend and husband of 72 years, Frank Burton Boling. 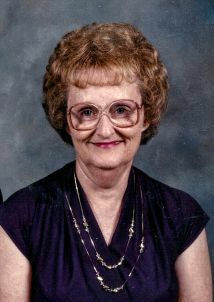 Norma is also survived by her three children and their spouses: Joanne Carol Dickinson (Bob), of Owings, MD; and her two sons, Frank Roy Boling (Diane), of Chesapeake Beach, MD; and John Arthur Boling (Joyce), of Waldorf, MD; She also leaves to mourn her, nine grandchildren, ten great-grandchildren, and six great-great-grandchildren—most of them still local in parts of Southern Maryland. Norma and Frank married in their teens. Norma was a traditional 1950’s homemaker and stay-at-home mom. She was a member of the District Heights Women’s Club and one-time President of the Saint Pius X Knights of Columbus Women’s “Queens” Auxiliary in Forestville, MD. For nearly 40 years Norma and Frank were active members of Mount Calvary and St. Bernadine’s Catholic Churches. She enjoyed bowling, cooking, dancing, movies, sewing and crafts, and weekly trips with friends to shopping malls. Her family and friends will always remember her as a kind and gentle-hearted woman who put her family’s needs above her own. Elder, Bill Collette, from Chesapeake Church, Huntingtown, MD will officiate. The family would like to thank all family, friends, and neighbors for their kind words of sympathy and condolences during this difficult time. Please accept my deepest sympathy on the loss of your beloved Mother, and may her soul rest in peace.